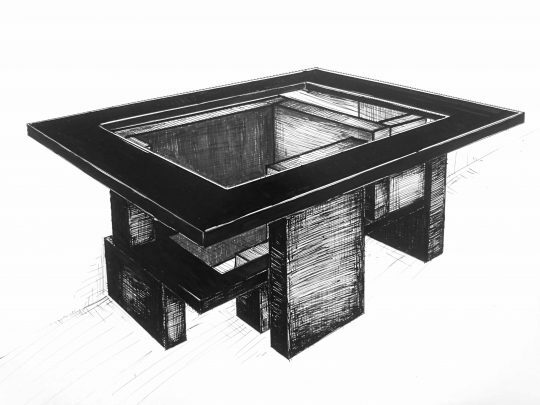 The table made of asymmetrically arranged old pine rafters which resemble an urban development plan or a maze. The table has two tops – the main one of 2×1 m and the bottom one of 1.5×0.7 m. Both tops are made of old oak wood. Glass windows are fixed inside them.